We are eminent Manufacturer, Importer, Exporter and Supplier of Data Acquisition System from Delhi, India. The entire range of Data Acquisition System is robust, accurately completed, and renders long service life. 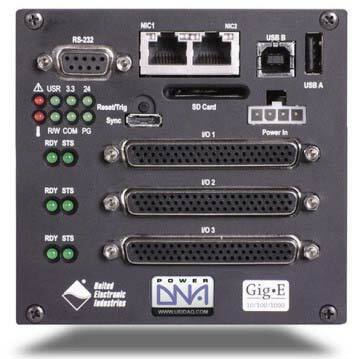 Customers can choose from a whole assortment of Data Acquisition System from us at most reasonable rates. More about Data Acquisition System : Creating a niche of Data Acquisition such as PCI Digitizer, LVDT/RVDT/Synchro/Resolver, Simultaneous Sampling, MIL-STD-1553 Data Acquisition Board, Cargo log, Data Loggers, Digital I/O Boards, Serial Communication Interface, Low-Cost Lab MF Boards, DT800 Data Acquisition System, Data Taker Geo Loggers, PXI And Compact PCI Products, CEM20 Data Acquisition, Multifunction Boards, Smart Data Logger, Low-Cost Lab DIO Boards, Signal Conditioners, Power Conversion, Ethernet DAQ Data Acquisition System, Data Acquisition System, Data Logger, Digital I/O Data Acquisition Board, PAC, CAMAC Data Acquisition Board, Analog Output, ARINC 429/708/453 Data Acquisition Board, Analog Output Boards, USB Oscilloscope and many more.